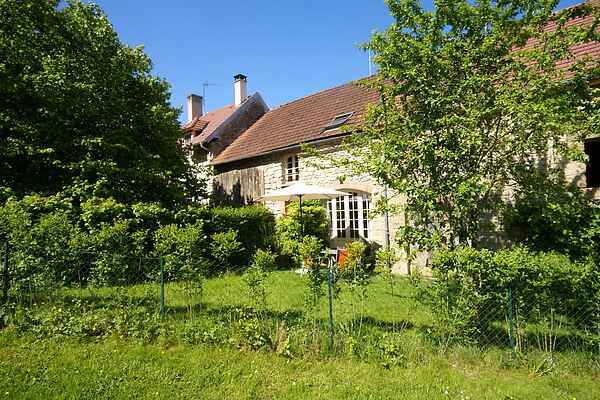 For fish and nature lovers: semi-detached house situated in a tiny hamlet with only a few dozen inhabitants, situated in the vicinity of Saizy. The house, which was formerly used as stables, was recently renovated and now offers delicious modern comfort. Note the remaining authentic mangers! Restaurant, supermarkt and bakery can be found in Monceaux-le-Comte (2km). The bakery and the butcher come to your home. The magnificent, scattered lakes and rivers in the area are ideal for a day of fishing. Here are a few for you: Lac de Pannecière (30km), Lac des Settons (40km), Lac de Brassy (25km) and Etangs de Vaux et de Baye (17 km). In most lakes, there are also swimming and water sports options. The owner, who lives on the other side of the house, will be glad to provide you with useful tips. A lovely day out by car? Visit one of the nearby towns with their interesting sights. The museum of art and history in Clamecy (21km), the Basilique Ste Madelaine Vezelay (17km) and the museum of Septennat of Chateau-Chinon (34km) are well worth a visit as well.